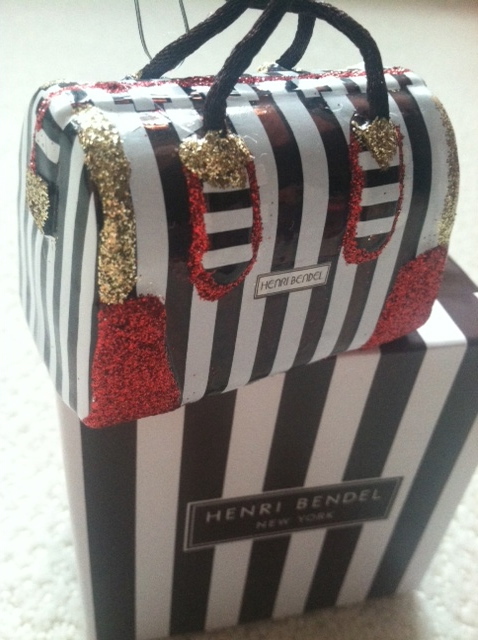 Something Delightful : A Very Merry Henri Bendel Giveaway! 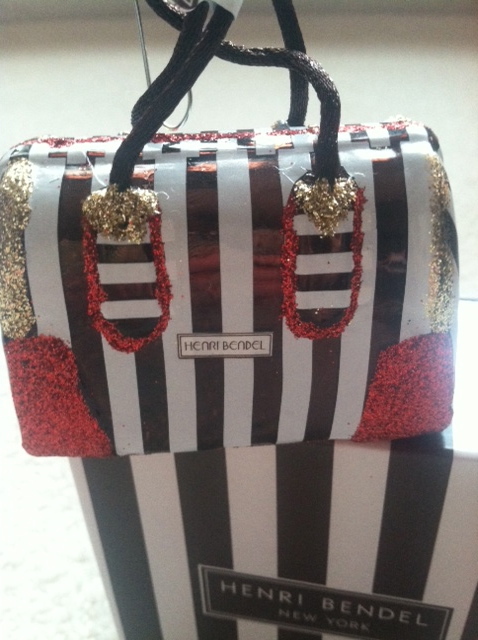 A Very Merry Henri Bendel Giveaway! 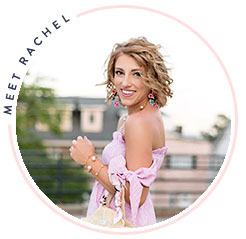 It is time for a very merry Christmas giveaway on A Preppy State of Mind! While in NYC two weeks ago, I decided that I would hunt for the perfect Christmas ornament to giveaway to one of my blog followers. While shopping at Henri Bendel, I knew that was where I would find the perfect ornament. 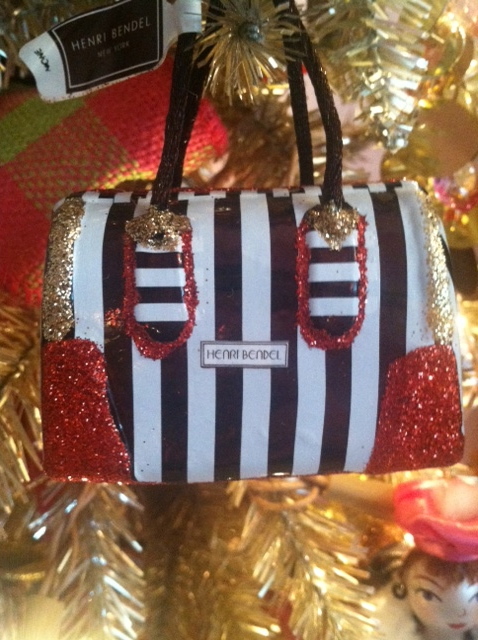 I am in love with the Henri Bendel Signature Bag ornament and can't wait too send it off to the winner! Right now, my favorite ornament is a beautiful monogrammed one from Monograms, Etc! My very favorite ornament on my tree is one that a friend gave to me. She is a French shopping poodle! So very pink of course. Selecting just one favorite is quite challenging! I adore ornaments. Thanks for this lovely give-away! I have an Irish angel. this is so cute! Currently I got a set of mini glitter ornaments and they are my fav because they went on my first "big girl" tree! We are getting our tree next week, so at the moment I don't have any ornaments on my tree (haha, obviously! ), but I really like all of my ornaments! An eiffel tower from Paris-live it! Thanks for the giveaway! I have a bunch of special Precious Moments ornaments given to me from birth up to 18 yrs and they hold a special place in my heart :) I also love my vintage-inspired glitter ornaments! Great giveaway girly! Mine are three gorgeous sparkly and feathery birds from Anthropologie! My favorite ornament is my monogramed one! AJA. Love it!! I have an alligator ballerina ornament that is one of my favorites! I am a dancer and a florida gator--so it is very "me"!! 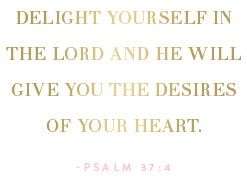 Don't forget to enter the giveaway going on at Cotton's Pickins right now!! I have several vintage glass ornaments from the 50's that were my grandmas that I love!! Oh dear Lord this is fabulous! My tree needs this on it! My favorite ornament is a picture frame with "2006" inscribed on it. My husband and I got it as a wedding gift. It has a picture of us from our wedding in it.